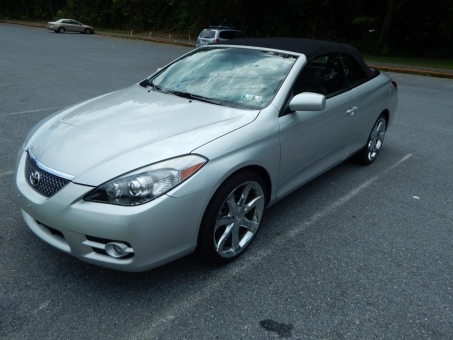 This 2008 Toyota Solara is in excellent condition inside and out. There are no dings, dents, or scratches. The carpets have no blemishes, the leather is all in good shape, and everything works properly.